A few days ago I was at the supermarket looking at eggs. I realized I had no idea what Grade A meant, or what the meaning of any other grade was, or even what other grades there were. Maybe this is why I feel like I'm faking it when I buy eggs. That happens sometimes, where I'm suddenly shocked to realize I lack even basic knowledge about some mundane aspect of life. 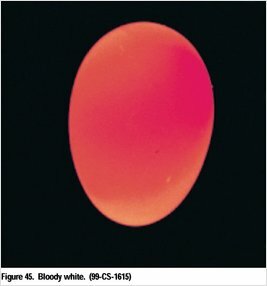 Are there any differences between brown and white eggs, other than color? Is Henry Kissinger really a war criminal? Do drum brakes even have brake pads? Usually I pledge to myself that when I get home I will look up whatever it is on Wikipedia. Three minutes later I've forgotten about it forever. 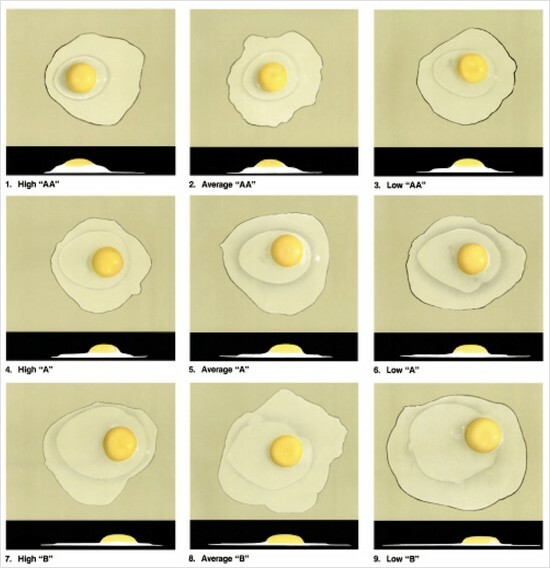 I'm glad I didn't forget about the egg thing, though, because the USDA Egg-Grading Manual is pretty cool. It describes a world of blood rings, blood spots, meat spots, cross-contamination, leakers and black rots. It has enlarged drawings of hen reproductive systems, photos of abnormally shaped eggs, an official air cell gauge, and a list of obsolete grades (anyone want a dozen “U.S. Dirties”?). Don't even get me started on the discussion of hand candling technique. I think I've been a fan of catalogs of pathologies since I was a kid, reading through my dad's dermatology magazines. This USDA manual has almost the same style of photography and subject presentation that those journals had in the mid 70s. I like to imagine similar photographic grading guides for supermodels and web 2.0 sites. OK then, so what is the scoop on brown eggs? For many years, consumers in some areas of the country have preferred white eggs, believing, perhaps, that the quality is better than that of brown eggs. In other areas, consumers have preferred brown eggs, believing they have greater food value. These opinions do not have any basis in fact, but it is recognized that brown eggs are more difficult to classify as to interior quality than are white eggs. It is also more difficult to detect small blood and/or meat spots in brown eggs. Research reports and random sample laying tests show that the incidence of meat spots is significantly higher in brown eggs than in white eggs. Meat spot fans probably already knew that. And they probably know the significance of the color of a chicken's ear lobes. 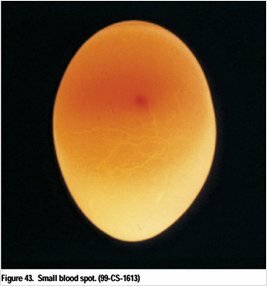 Small blood and meat spots (aggregating less than 1/8" in diameter) result in the egg being classified as B quality. But apparently they can be hard to spot. It's also possible to have blood in the yolk due to germ development, in which case the egg is classified as inedible. I personally am pretty picky about any kind of structure in the egg other than a nice yellow yolk and the white. Anything stringy or weirdly colored gets removed. And thank god I've never noticed a meat spot (usually tissue from the hen's reproductive organs that sloughed off during egg production). Ah, the world of poultry: check out the PoultryCast podcast for more:) Yes a podcast for the poultry world!!! 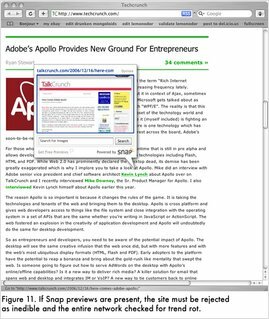 And if you like pork, there is SwineCast.com!